One of the great privileges of covering a few Masters comes in the form of emails I now annually receive asking for the best way to maximize a day at the Masters. Since practice rounds and events like the Augusta National Women’s Amateur have added more opportunities to visit here, short term visits to the Masters have become more commonplace. This adds a sense of urgency and dare I say stress to a visit. In this long-form piece for Masters.com, I try to cover all of the key questions about folding chair placement, Founders Circle photos, the Golf Shop, best places to watch and Georgia Peach ice Cream Sandwiches, all so you can focus on what matters: watching golf and having a great time. Most of us would be giving the wrong answer if we said the Masters was officially born in year two of the tournament, but as John Steinbreder explains in this Masters.com story, the rollout was not really official until 1939. There’s hope for The Tournament Players Championship/The Players Championship/The Players/The PLAYERS! As much as Jones disdained the name, it had more than its fair share of early adopters. In fact, Roberts relates how a mutual friend of theirs, Tom Barrett, was so disappointed that the competition was not being called the Masters that he told a newspaper reporter friend about it. 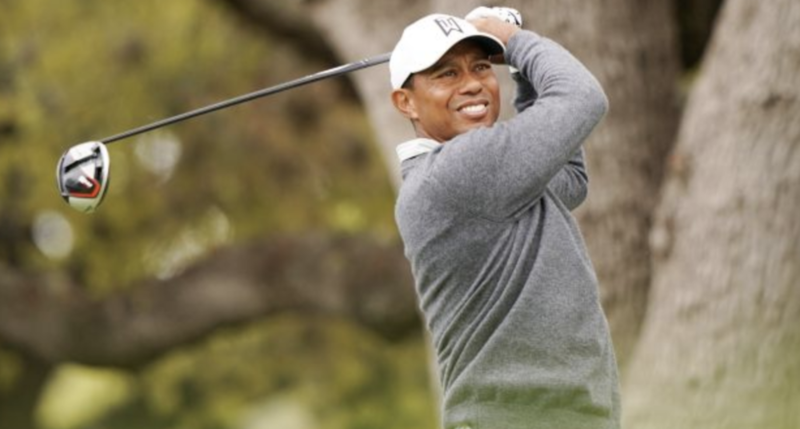 That person then wrote a story on the matter, which was one reason several members of the media referred to the event during its inaugural playing as the Masters Tournament. “By 1935, most of the media did so, and in 1936, no one except the Club called the Tournament by any other name than the Masters,” Roberts wrote. Bill Fields with a nice remembrance and Masters history of the late Dan Jenkins’ era, a record of attendance (68 years)n and productivity unlikely to be matched. It was 1951. Jenkins was a 22-year-old Texas Christian University student and golf-team member moonlighting as a sportswriter for his hometown newspaper, The Fort Worth Press. His beat essentially was Ben Hogan, a native son, who made Jenkins’ maiden journey to Georgia a memorable one with a two-stroke victory. His Ownself’s seat this week. Boy I’ll miss those drive-bys to ask a question! The Masters Tournament is remembering long-time journalist Dan Jenkins at his seat in the Press Building this year. The World Golf Hall of Famer, who died on March 7, covered 68 consecutive Masters, beginning in 1951. 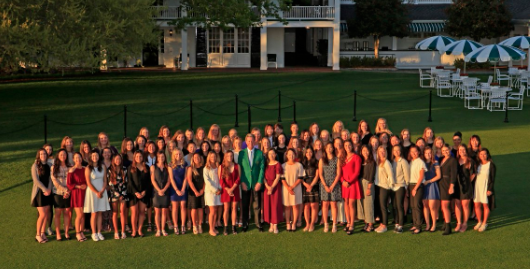 A year ago when the Augusta National Women’s Amateur was announced, it prompted mostly questions and a healthy dose of skepticism. As a big crowd rolls into ANGC this morning, I note for Golfweek a few of the questions already answered by the Friday practice round. 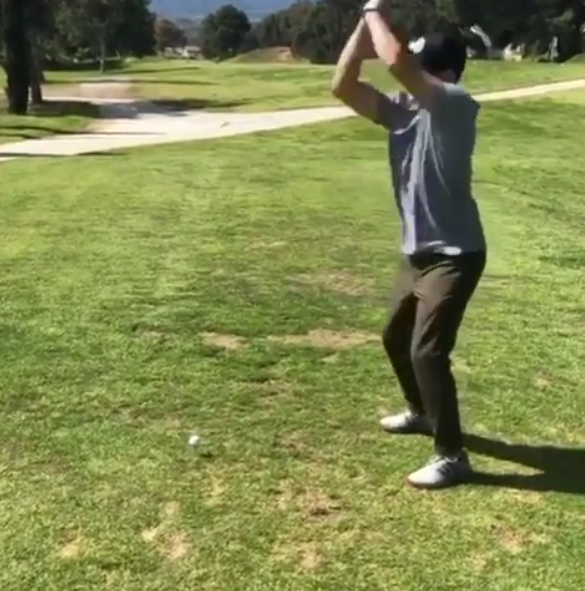 Of course, the players were assessing golf on a quiet, relaxing day. Things will inevitably change a bit with 20,000 on hand. One stroke back, Maria Fassi’s diary after day three and first round at Augusta was once again entertaining. The Forecaddie spotted another new female member Friday. There were two magnificent moments on the first tee Saturday morning. 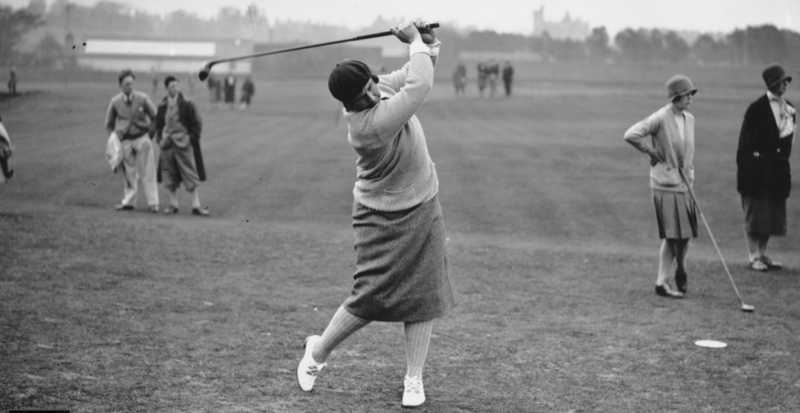 Beth Ann Nichols tells the surreal story of Anna Redding returning to Augusta National and hitting the first shot after just making the cut. For history buffs, the answer to a great trivia question is answered by Ward Clayton, who explains how this is the second non-Masters tournament played here. “When I grow up…” is not just a sentence. It’s the start of a new chapter. There's Life In The Old Masters App And Social Accounts! Tie to download the update folks, the High Holy days are almost here. If you’re an Android user, sorry, I don’t have your link. The Instagram account has been teasing us too, with some stellar flashback’s to great calls. The 1960 and 1997 editions stood out. 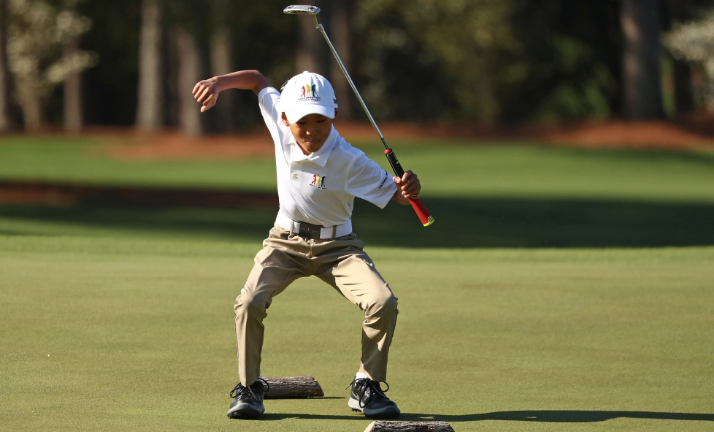 Is it me is or Tiger less upright over the putter then? After successfully convincing instructor David Leadbetter to help with her husband’s game without Patrick Reed’s knowledge, Justine Reed is pulling out all the stops as her man prepares his Augusta National return. She has enlisted celebrity chef Guy Fieri to take over Champion’s Dinner preparations just two weeks shy of the annual Tuesday gathering where her husband is this 2019’s host. Via text, Mrs. Reed confirmed the news. Justine also confirmed her intention to be the first spouse to attend the Champion’s Dinner. While Patrick is not yet aware of his wife’s plan just as he was not aware of the Leadbetter outreach, Justine confirmed her plan to this decision out on their shared wavelength sometime Monday night of tournament week. “I don’t want to bother him while he’s trying to find a swing,” she texted. The 2018 winner’s spouse has grown concerned about the Champions Dinner and decided to contact the host of Diners, Drive Ins and Dives to make last minute changes for this year’s gathering of living Masters winners and the current chairman. A Masters spokesman would not discuss Fieri’s standard practice of including a Food Network camera crew wherever he goes, but did confirm the club has reminded the charismatic host that Augusta National forbids the wearing of sunglasses inside its clubhouse. William Barr informed lawmakers last week of plans to release a redacted Special Counsel report on Russian interference by mid-April. Left out of the Attorney General’s letter, according to senior-level Justice Department sources: Barr is waiting for the Masters to conclude before sharing the redacted Mueller report with the public. The Attorney General wrote last week to Congress explaining why he could not meet an April 2 deadline set by the judiciary committee. “Everyone will soon be able to read it,” Mr. Barr wrote. Yet he did not elaborate on what sources say was the primary reason for delay: the 2019 Masters. An Augusta National spokesman declined comment when asked if the club influenced the decision. However, several longtime members are reportedly still bothered by the distraction caused when U.S. troops took Baghdad in 2003 and felled Saddam Hussein’s statue as Chairman Hootie Johnson was giving his annual State Of The Masters press conference.